Earlier this year, the good people of the internet informed us that Joe Biden and Tim Kaine were quite studly back in their college days. But a new photo making the rounds is catapulting a past politician into the spotlight: Franklin Delano Roosevelt Jr., son of former U.S. President Franklin Delano Roosevelt and First Lady Eleanor Roosevelt. F.D.R. Jr. was a lawyer, politician and businessman from New York who served as a United States Congressman from 1949 to 1955. But naturally, the internet is less concerned with his accomplishments than it is with his looks. 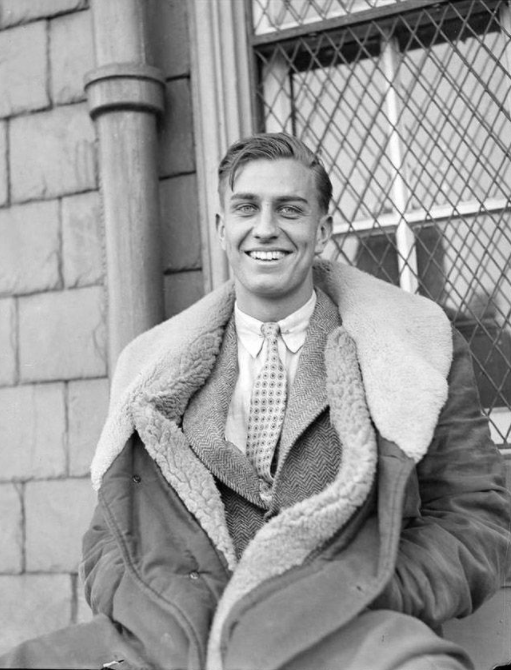 A photo of young FDR Jr. was posted to Reddit by user Kornichon on Tuesday, where it has since racked up over 35,000 upvotes. Well, just take a look and see for yourselves. Naturally, people are not holding back in the comment section. "His eyes are so blue you can tell in a black and white image," one user wrote. "I wonder if he knew how handsome he was," wondered another. "Probably." "I need me a tall glass of water," quipped a third. Unfortunately for internet crushers, the politician passed away in 1988 -- but forever in our hearts he will remain.